Yesterday, I taught a Spring Menu cooking class for my Garden Club. I really thought a lot about what I was going to cook because Valentine's Day is right around the corner and I wanted the menu to feel special. I decided on a simple menu with recipes that I have been preparing for years. We are all so busy and don't have time to search out ingredients or spend hours in the kitchen making dinner. This menu is great because the dishes are delicious yet simple to prepare and they really make a pretty presentation. I chose Strawberry Shortcake for dessert because who doesn't like strawberry shortcake! Check back later in the week for all of the recipes that we made yesterday, and click here to get recipes from other cooking classes. I loaded up the car with everything (almost) that I needed for the class. I did some prep the night before, but I wanted the class to be a hands on experience so most everything was done during the class. We had a glass of Prosecco and a toast to a fun morning spent with friends. I have been using Maldon Sea Salt for years! It is great for sprinkling on salads, in chocolate chip cookies and is the perfect salt to finish the Garlicky Green Beans. Christiana and Katie had to take turns whipping the cream for the strawberries because their arms got tired. Cooking can be a great workout! The finished Strawberry Shortcake...delicious and beautiful! Be sure to check back for recipes later in the week. 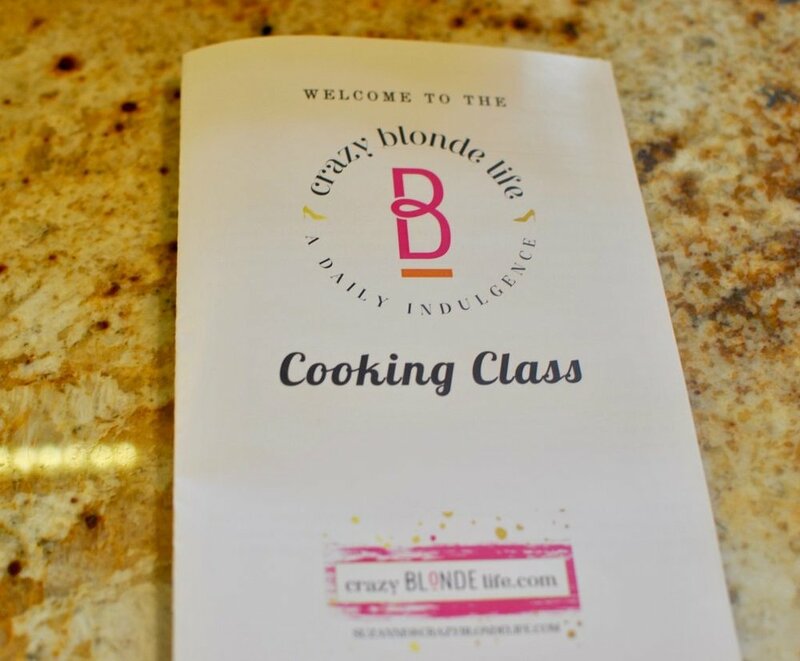 I have a full schedule of cooking classes coming up, so be sure to sign up for one before they fill up! Also, email me if you are interested in creating a custom class for your group. It's such a fun way to spend a morning or evening! I can't believe it's already Wednesday...this week is flying by! Have a great day everyone and follow me on Instagram @crazyblondelifeblog! Feb 9 My New YouTube Video is Live!